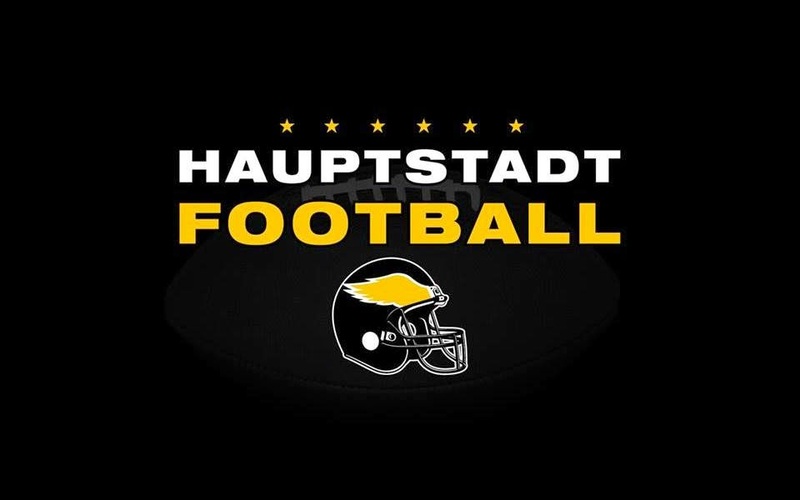 @Big6Europe: How does 'Hauptstadtfootball' feel like? Kim Kuci: It has taken a while, but now I feel pretty well within the team. @AmFiD & @GermanBowl: After your transition within Berlin, what are the differences between Adler and Rebels? KK: Especially in their consciousness of tradition of the whole organisation. Everyone here is willing to sacrifice for the team's success. @AmFiD: How pleased are you with the current roster? KK: This was our major duty in the past weeks and months. Finally intensive recruiting has led to a very solid roster. Alexander Schulzendorff via Facebook: How satisfied are you with the team's proficiancy level? KK: Today was our last test against Tollense; we're preparing for our first game. I'm really happy with our progress. @Big6Europe: How's the preparation for the season going? KK: We're right on track and are including our imports. We'll have a few upcoming surprises. @Big6Europe: Last weekend the BIG6 kicked off to a new era. What are your expectations? Which meaning does the Eurobowl have for you and the Adler? KK: It is special to play at this level. It will challenge us coaches and the players. @Big6Europe: You have won the Eurobowl as a player with Braunschweig. Which significance does this competition have for you personally? KK: It belongs to the highlights of my career as a player. My Eurobowl MVP Award is on top of my shelf ;-) It's like the cherry on the cake. @Big6Europe: Who do you expect in the Eurobowl? KK: Last year we lost in the semifinals and we spared no efforts, to upgrade the team considerably. The goal is clear. @Sky_Moritz: What will change at the Berlin Adler under your guidance? KK: We will always reach our performance level and mainly play "fundamental sound football". @eatspn: Do the players have a certain nutrition plan during the season? Does that matter? KK: In a perfect world yes, but we're playing amateur level, where such things a hard to realize. @bjoernhesse: What is your favorite meal? KK: Even "tougher" than the question with the BIG6 finalists. So much food so little time. A good steak is hard to beat. @bjoernhesse: What are you doing in your spare time to free your mind from football? KK: That's mainly in the "off season". We like to travel and I'm a passionate kitesurfer. @bjoernhesse: What is your favorite sports movie? KK: Invincible / Unbesiegbar with Mark Wahlberg is definitely one of my favorites. @Big6Europe: What do the Adler have to achieve, that you're satisfied? KK: Reaching the final would be a great start for our new structured organisation. Alexander Schulzendorff via Facebook: There was no perseason game, anyway will we see a clear victory against your old team? KK: Never underestimate the Rebels, they have a good core of players. In 2013 for the first time in 25 years they were victorious against the Adler. That's it! Hopefully you enjoyed it as much as we did. KK: Thank you for having me. Hope to see you all soon in our stadium.